In information system, it would be discussed how does Information System (IS) function, and the challenges faced by the organization named Donhauefavret contractors. It would further select a grand challenge and discuss why it was chosen as a grand challenge. 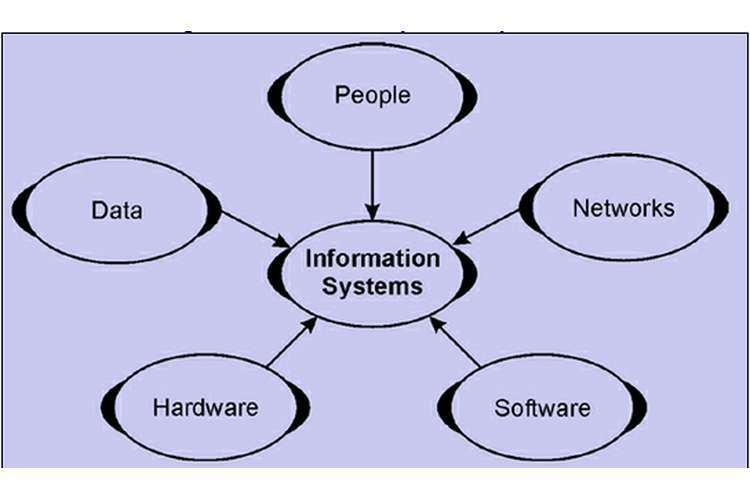 Information system function usually has three entities. The first entity is managing organizational unit that is usually known as department of information system (Klukas, Chen & Pape, 2014). The second entity is programmers, information system managers, project leaders as well as system analysts that form a group. The entities also include some of the external specialists like hardware vendors and infrastructures. The third portion of thes system includes the technology, software and hardware. The information system present in the open source software of the particular organization encounters various challenges. These challenges are as follows. Vulnerability: Since numerous people have the access to source code, it can result in increasing its chances to exposing them vulnerabilities. This is because not everyone referring to code has good intentions. Most of the contributors of open source utilize their access in order to find out loopholes as well as fix them (Baltru, Robinson & Morency, 2016). There are numerous contributors who would exploit their access in order to create vulnerabilities and produce bugs for polluting hardware and steal the identities. This challenge is one of the greatest among all which can lead to serious issues in functioning of the organization. Inadequate support: The community of open source is very large but still it faces difficulty in looking for support to solve a problem. One more factor in open source is that people do not know who actually designed the code. In this case, it is very difficult to find out who is responsible for such vulnerabilities. In this challenge the organization might faces serious issues regarding recruiting skilled professionals (Rognes, Flouri & Nichols, 2016). Skilled professionals are important in handling open source softwares; it reduces the chance of vulnerabilities. Steep learning curve: Open source might not be straightforward and easy to use. Some operating systems like Linux are comparatively steeper and cannot be learned very quickly. Linux is technically very superior compared to many other types of software but many users find it difficult (Lopez-Calderon & Luck, 2014). Hiring the appropriate resources with good skills is a very difficult task. Professionals who are not skilled in operating systems like Linux create difficulties for the organization. The chosen challenge in the case of this organization is vulnerability. Vulnerability of open source may result in serious problems occurring in the organization. The development teams of organization rely on the open source software for accelerating the deliveries of innovation (Baltru, Robinson & Morency, 2016). The agile, as well as traditional processes of development, are often pre-built and reusable software components of open source. The vulnerability of ill intentions of the code developers might be a huge risk for the organization because it may cause dysfunctional activities that take place under the organization. In case a professional with the wrong intention edits the source code and this code is referred to by the organizations it might not achieve its desired outcomes. These are the reasons why this challenge has been selected as the grand one. 1. Baltrušaitis, T., Robinson, P., & Morency, L. P. (2016, March). Openface: an open source facial consumer behaviour analysis toolkit. In Applications of Computer Vision (WACV), 2016 IEEE Winter Conference on (pp. 1-10). IEEE. 2. Klukas, C., Chen, D., & Pape, J. M. (2014). IAP: an open-source information system for high-throughput plant phenotyping. Plant physiology, pp-113. 3. Lopez-Calderon, J., & Luck, S. J. (2014). ERPLAB: an open-source toolbox for the analysis of event-related potentials. Frontiers in human neuroscience, 8, 213. 4. Rognes, T., Flouri, T., Nichols, B., Quince, C., & Mahé, F. (2016). VSEARCH: a versatile open source tool for metagenomics. PeerJ, 4, e2584.